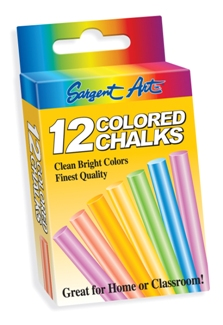 Sargent Art Board Chalk, Assorted Colors - Economical alternative for dustless chalks. Engineered for use on chalkboards. Round Sticks 3 1/4" x 3/8" fit most chalk holders. 12 sticks per box.